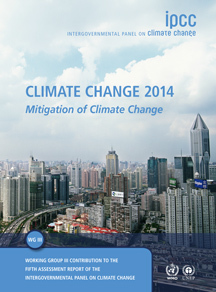 The IPCC released the Working Group III summary report for policymakers on Sunday. I wrote about the Working Group II report on impacts on The Monkey Cage. Working Group III covers climate mitigation, that is the challenges of reducing greenhouse gases. Tonight, I read through the report and tweeted my sense of the main findings in an 11 part series that I embed below. My short take: there is not nearly enough in the 33 page document on barriers to implementation and international cooperation. I’m really looking forward to the release of the longer chapters. In the meantime, I encourage interested readers to take a look at five sectoral reports from my research group on the Major Economies and Climate Change. WGIII. Pt. 4 Cancun pledges “as likely as not” to limit emissions to within 450ppm. Don’t preclude but probably need more robust action. WGIII pt. 9 Last section on intl cooperation is pretty general. UNFCCC is universal forum. Proliferation of other forums. Need to read more! I see that Duck contributor Johannes Urpelainen also has a short post up with his reaction. He concludes that the IPCC seems to endorse fossil fuel phaseout. My own sense of the main findings are a little different, the IPCC rather than making any recommendations seems mostly to be reporting on what different studies say would have to happen to keep temperatures and emissions below certain targets. Nonetheless, the clear implication is that the world would have to move away from fossil fuels by century’s end. In the meantime, we need carbon capture and storage, fuel switching to natural gas, and measures to lock up carbon in forests to buy us more time. Thanks for pinging my post, Josh! You are correct to say that the IPCC cannot really “recommend” anything — in fact, they specifically say so in the report (oops) — and my post had a misleading title. – Natural gas without CCS can be a bridge fuel, but the IPCC says that by 2050 we must be already below today’s levels – in a much larger world economy. All this is conditional on low fugitive methane emissions, and the jury is still out there on this one. Not exactly good news for shale gas enthusiasts. – The confidence in CCS as a useful technologgy is “medium evidence, medium agreement.” For a conservative body like the IPCC, this means rather limited confidence and enthusiasm. The IPCC’s emphasis on renewables and conservation remarkably strong. These two methods are zero-carbon and produce few, if any, negative side effects. I wouldn’t object to some investment in natural gas and even CSS, provided problems with them are addressed, but I am really worried that the fossil-fuel lobby manages to divert our attention from the key issues: energy efficiency and renewable energy.